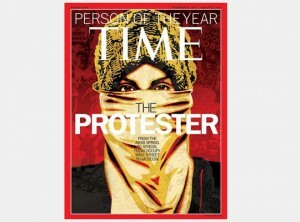 Time magazine’s ‘Person of the Year’, is a masked demonstrator – THE PROTESTER. 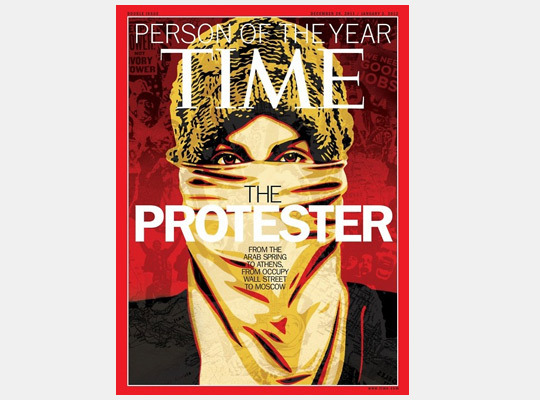 Shepard Fairey created the TIME Magazine Person of the Year Cover for ‘The Protester’, which seemed like a worthy candidate for a year worth of reporting. From the Arab Spring and Athens to Occupy Wall Street and the more recent rallies in Moscow, protesters have redefined “people power”, said the cover page.